Click on part number for CAD model. 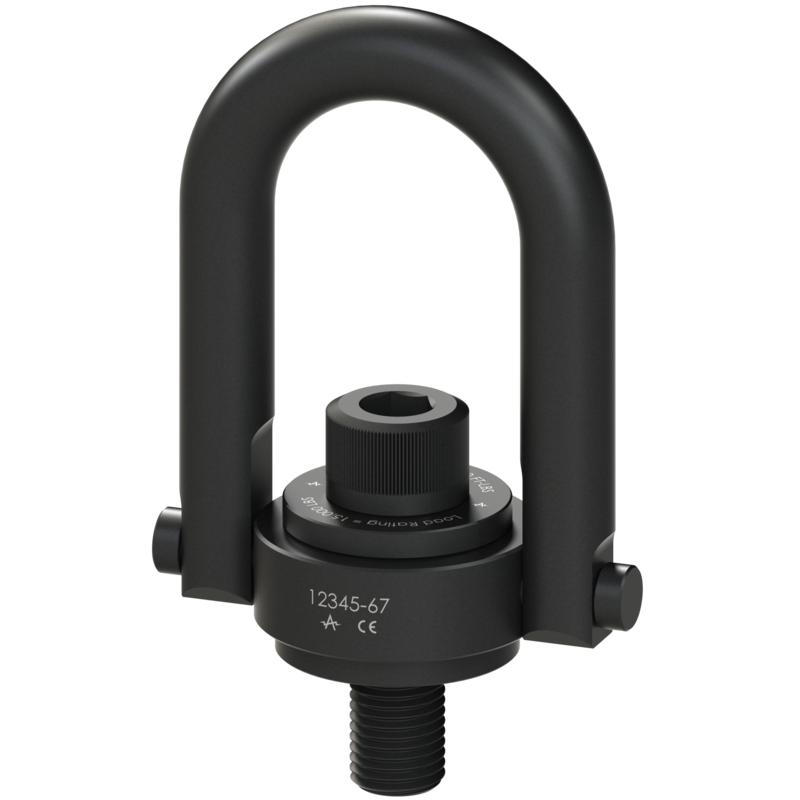 Design Factor: 5:1, Magnetic Particle Inspected Per ASTM 1444, Hoist Rings retain the same rated load from 0 to 90 degrees from the bolt axis, Standard tolerance +- .030 inch unless otherwise specified. 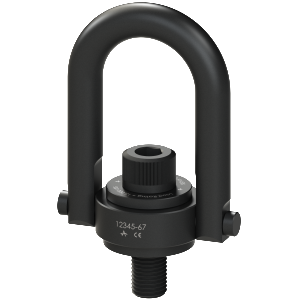 Finish: Black Oxide Finish for corrosion resistance, Also available in Cadmium, Titanium-Cadmium, Nickel and other plating.